VOIspeed UCloud provides reports on the usage of the phone system that can be sent to you by email at regular intervals (i.e. 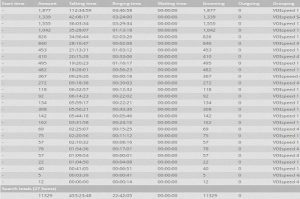 numbers of calls received or lost, average talk time and how long a customer has been kept on hold before talking to an agent). In the administration interface, you will be able to access the Call Reporting section, where you will be able to run an advanced analysis of calls routed via the PBX. In the same section, you can then set the report as a template to be sent as an attachment by email at regular intervals (e.g. daily, weekly, monthly). Using all the available filters, you can then create complex reports that will give you the option to better adjust the use of the phone system and its capabilities making sure all calls are routed in the correct way and no calls are lost. 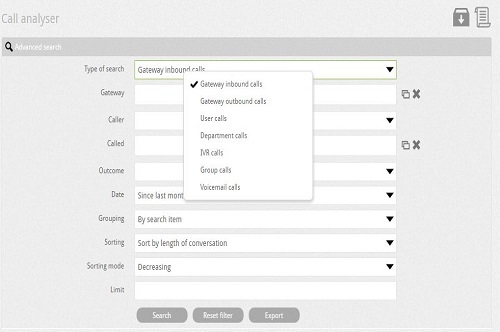 The call analyzer’s objective is to search all calls using the same criteria. The main filter is composed of seven different options. Caller: you can select contacts from the centralised phone book or number to find a particular number. Also you can use the symbol % to search a particular prefix. For example if you are looking to filter all mobile calls you will need to enter “%074”. 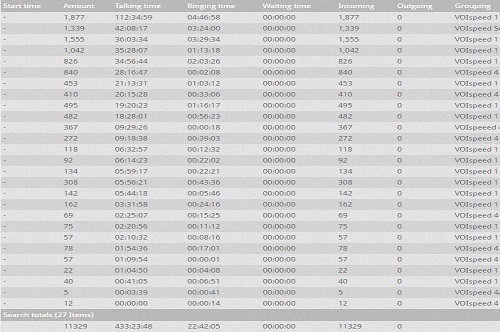 Date: to select when the calls was made or received: today, since last week, since last month or a time range.